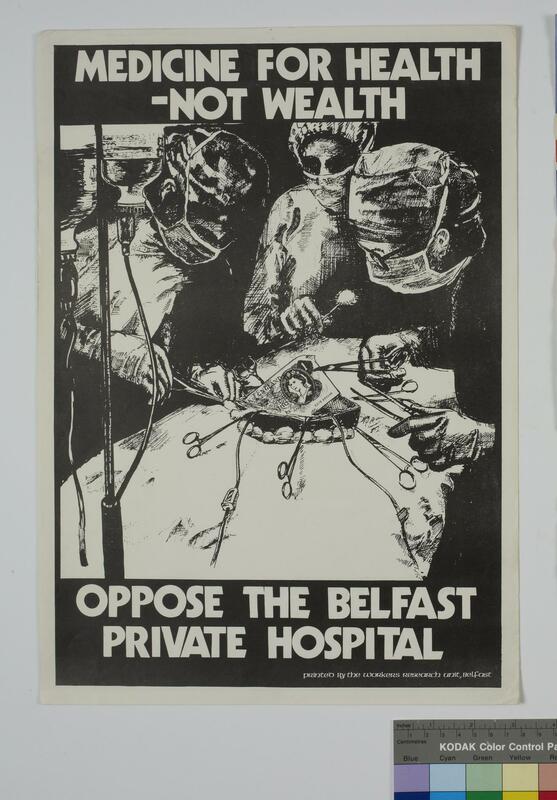 Poster issued by the Workers Party, printed white on black showing sugeons operating on a banknote, 'Medicine fro HEalth Not wealth, Oppose the Belfast Private Hospital.' The poster highlights the issue of a potential private hospital opening in Belfast. The Workers’ Research Unit was established in 1979 as a part of the Workers’ Resource Unit which operated in west Belfast. The Unit aimed to provide information on the effects of the economic recession.